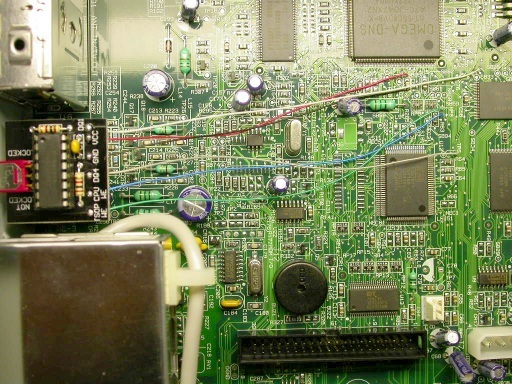 Before you start, make sure you disconnect the hard drive's IDE and power cables from the mainboard and move them out of the way. 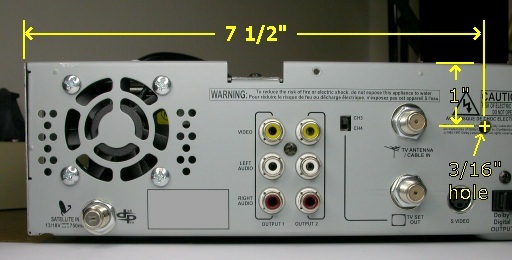 Do the same with the power cable that goes to the UHF remote control receiver (the large metal box fastened to the back panel of the receiver case). 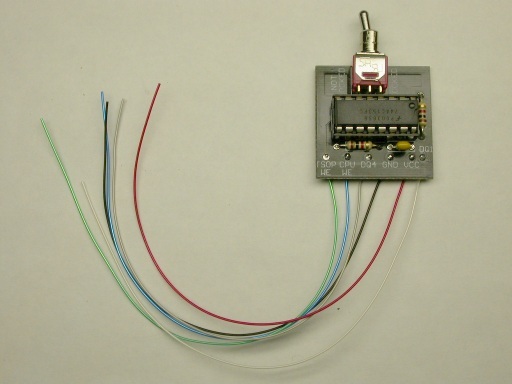 This is necessary to access to the mainboard's circuitry and will prevent the drill bit from accidentaly getting caught in the UHF remote power cable while drilling the hole. Remove the IRD cover. Use a tape measure or ruler to take measurements and mark the center of the hole to drill with a felt marker. Drill a 3/16" hole 7 1/2 inches from the left-hand side of the receiver case and 1 inch from the top of the receiver case as shown in the picture below. Cut 6 lengths of wrap wire. Make each wire 6 inches long. Strip about 1/8" insulation off one end of each wire and solder all the wires to each of the 6 pad/holes on the front edge of the PCB (DQ1, VCC, GND, DQ4, CPU WE, TSOP WE). 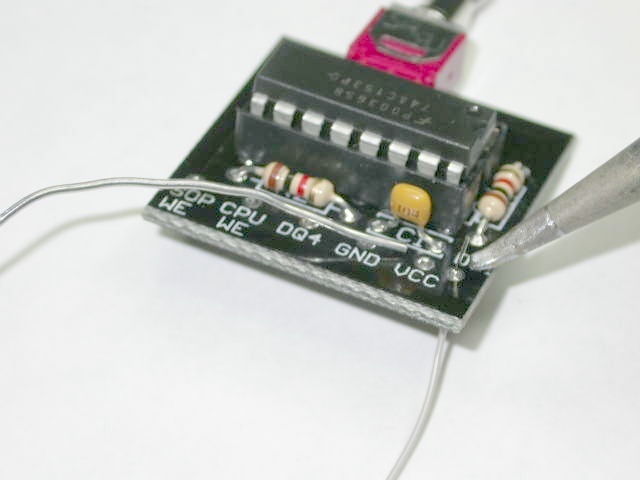 It is recommended to insert the wires into the bottom side of the board and solder those from the top side. This is not absolutely required, it just makes for a cleaner looking result. 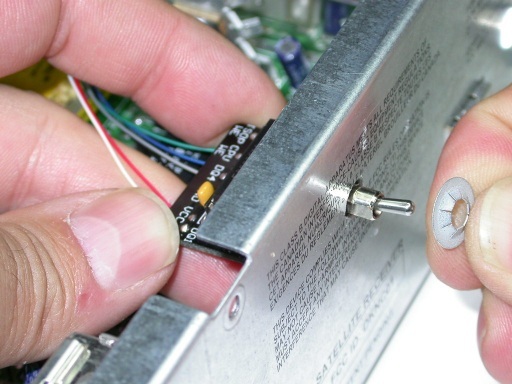 Put the PCB's switch lever through the hole from the inside of the receiver. Hold the PCB firmly against the back panel and slide the pushnut over the switch's bushing from the outside of the back panel. The nut is stiff to insert at first and requires a bit of "finger grease". Once it's started, make sure you push on it straight and even as far back as you can. One method that works well is to use both index fingers to push the PCB against the inside of the back panel while using both your thumbs to push on the edges of the pushnut. First, use the larger view picture below to locate the area where the trace to cut is located. 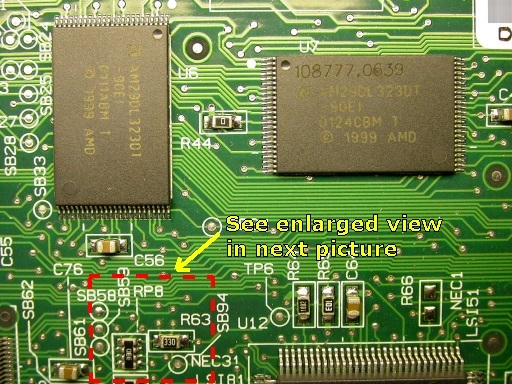 This is a view of the mainboard when looked at from the back of the receiver. 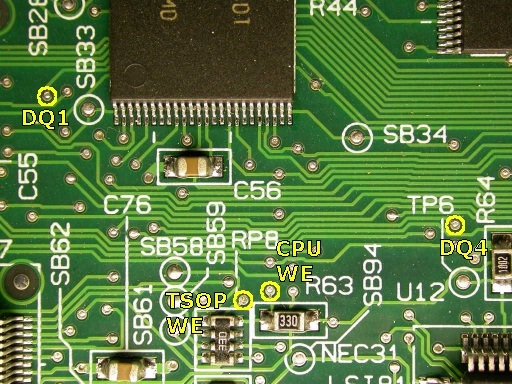 Just below the left-hand side TSOP chip (U6), note the area enclosed in red dashed lines. The next picture shows an enlarged view of that area. 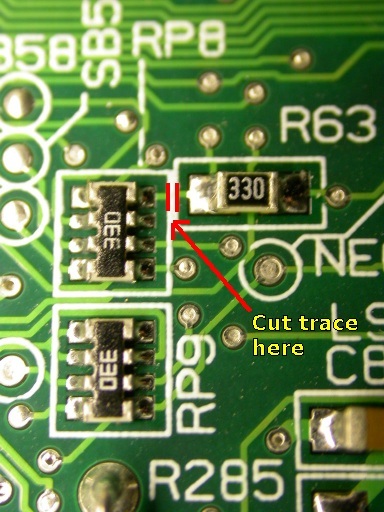 Now cut the copper trace between RP8 and R63 as shown in the picture below. The best way to do this is to make 2 deep scores very close apart across the copper trace using a fine X-Acto knife. Then pry up the small portion of copper in between the 2 scores with the knife blade almost flat to the board. It is recommended to inspect the cut with a magnifying glass to make sure there is no copper left in the gap. 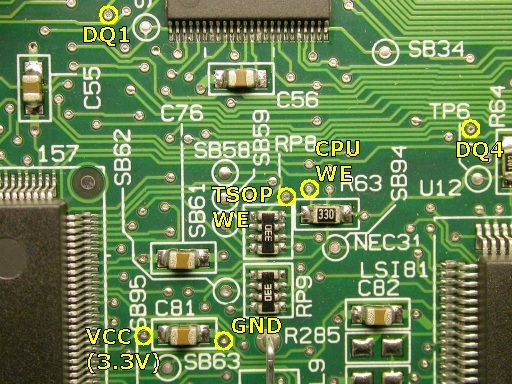 Locate the wire solder points on the mainboard using the pictures below as a guide. You're all set. 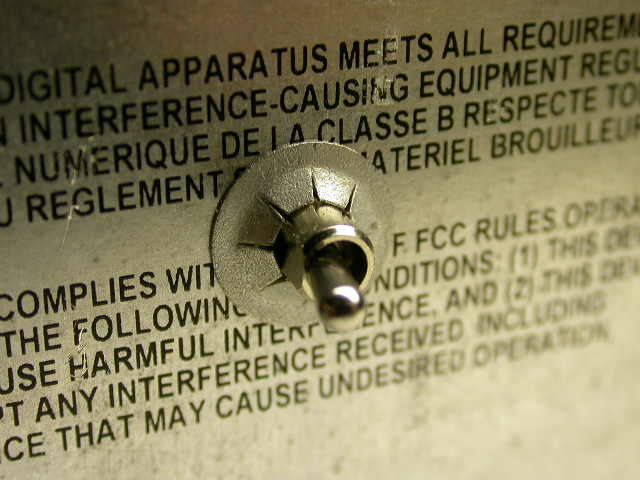 When ECM's come down, you will still get the message "Serious error has occured with your receiver". But the difference is that your TSOP will NOT have been zapped. When that happens, simply pull the card out of the receiver and push it back in. You will be back up and running in a few seconds. 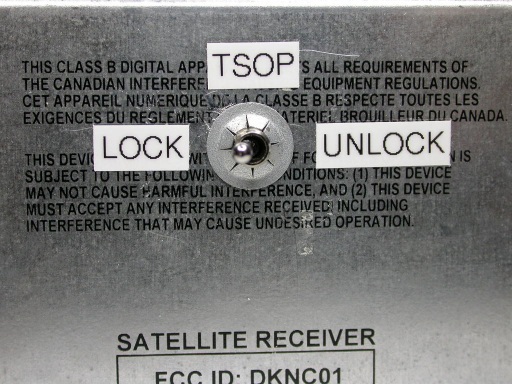 The credit for the logic design of this lock circuit (the schematic) goes to rolesp. However, I designed the PCB layout and came up with the idea of putting the switch directly on the PCB. 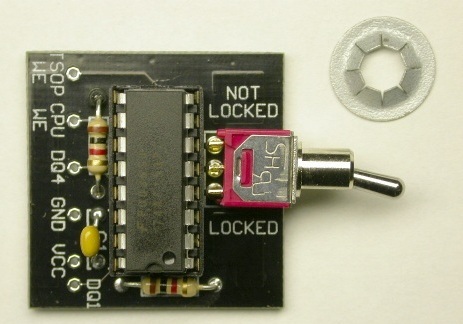 This board was fully tested and is 100% reliable provided you follow the above instructions to the letter.